As we packed our bags past midnight we knew we had not much time to sleep. 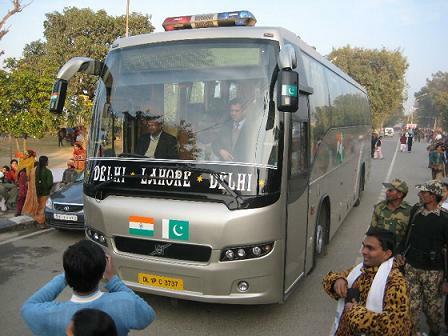 The Gareeb Rath (Poor man’s chariot) to New Delhi was scheduled to leave Amritsar sharp at 4:50 am!! Even then, we slept keeping a series of alarm every 15 mins with the first one set at 3 am. 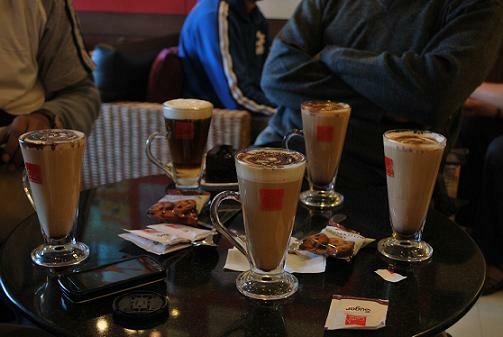 We were finally all up by 3:30 and reached the railway station by 4:15am right on time to dump our luggage (which was now 14 in number) into the coach and get a cup of chai. Btw, if you haven’t read the previous two posts in this series you can read them HERE!! The accomodation at Delhi was free of cost, courtesy the company of my friend’s dad…and the 3-BHK guest house was located in South Delhi at Greater Kailash-II. 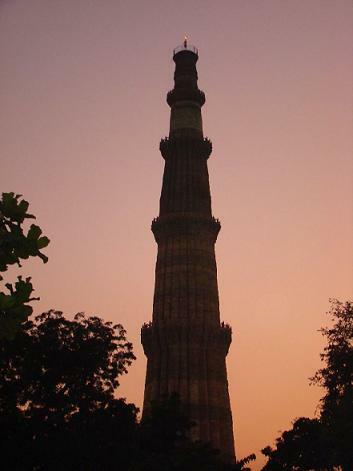 By the time we reached to see Qutub Minar, it was already late evening. 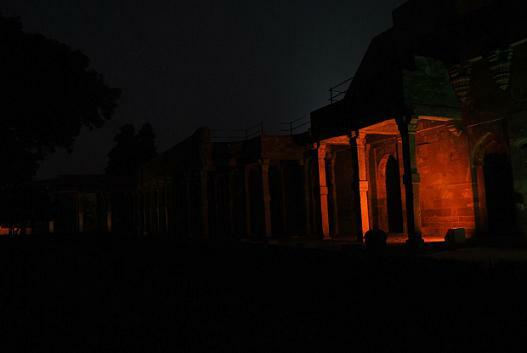 The entire area where the Qutub Minar stands was lit here and there in various colors, which gave the whole area a very semi-vibrant look!! 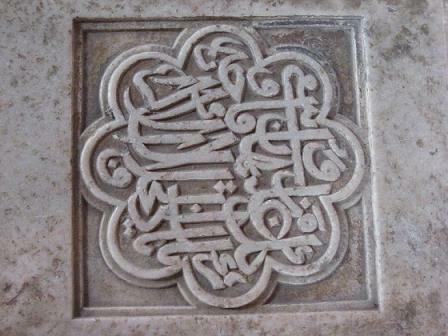 Humayum would have been a man who loved his barber (no, not that way)…his barber’s tomb is also a huge dome structure in the same compound…The above is the writing in Arabic (or is that Urdu) over Humayum’s barber’s tomb. 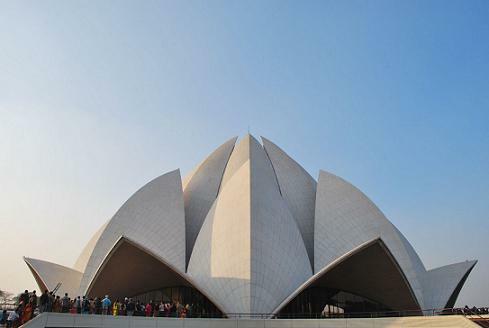 Lotus Temple is a place of worship of the Baha’is. Beautiful and peaceful. 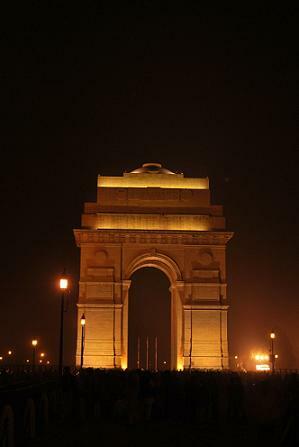 And finally as our journey came to an end, we closed it off with visit to the India Gate – a memorial to the lost lives of our soldiers. 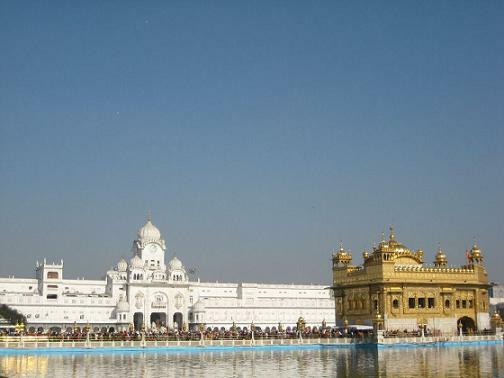 We were looking forward to our touching base at Amritsar…mainly for two reasons…one, the Golden Temple and two, the cold weather which was expected to be around zero degree centigrade. Since we were not able to get our tickets booked in 3AC, we took the risk of booking in sleeper class for the night journey to Amritsar from Haridwar. Thankfully, Haridwar was a starting point for the train and so the compartments were clean. And this time, the windows closed with very minimum air gap. We had booked a hotel…through my friend’s dad…it kinda happened to be a star hotel but then the rates surprised us. 🙂 It was 2-3 kms from the Golden Temple to which autos plyed us to and fro for 50 bucks one way. 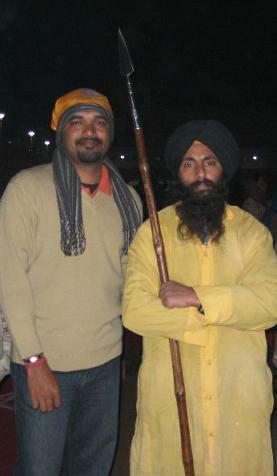 We first went to the Jallianwala Bhag (then a park, now a memorial) which is like 300-400 mts away from the Golden Temple. This was where thousands of Indians were shot at, on the orders of General Dyer in the year 1919. 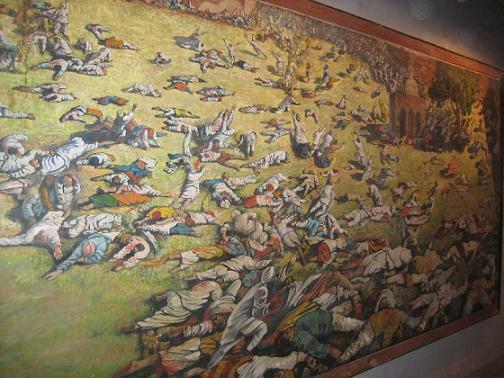 The above pic is of a painting on display in the small museum at the memorial. This structure is a memorial built later, remembering all the lives that were lost on that fateful evening. 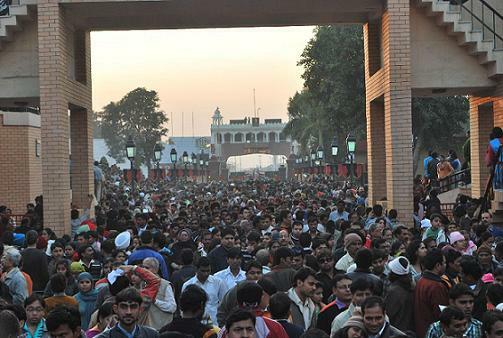 We started off to Wagah (Indo-Pak) Border around 3pm (which was late…if you are going, pls start by 2pm atleast) and reached there by 3:45pm only to find a huge crowd that had reached well before us. 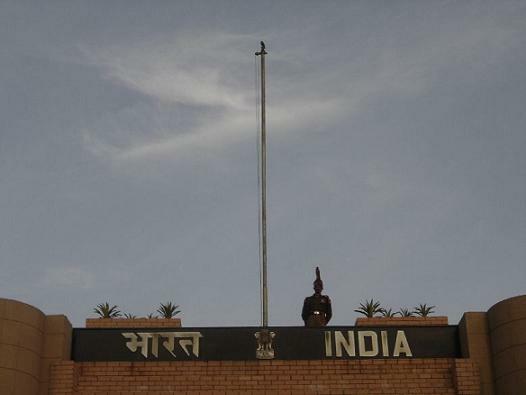 You can see the Indian gate with a soldier at the top…this shot was taken past 5:30pm – Flag has been lowered and taken off the pole, if you observe. 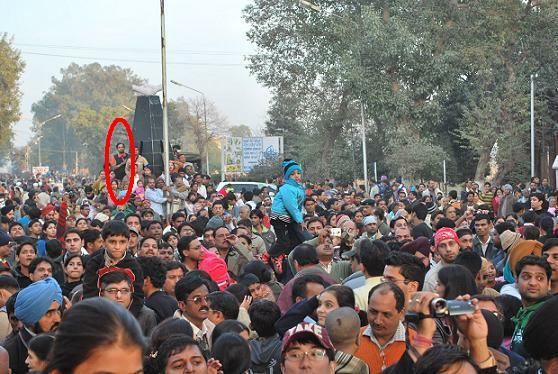 You can see the crowd….I took this pic standing on a arch…far off is the Pakistani Gate..We were about 2000+ people on our side of the border while there were hardly 300-400 people on the other side!! 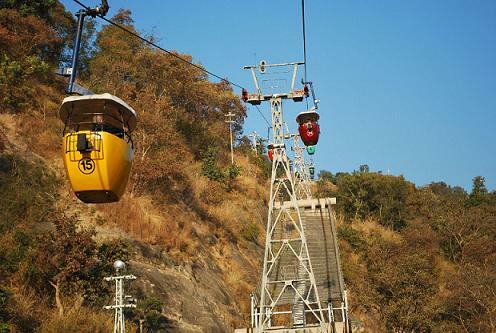 Moving on from Jaipur, our next destination was Haridwar-Rishikesh. This was going to be our longest overnight journey of the trip…a total of 14-15 hours. The train left Jaipur almost on time for us to catch up with enough sleep, and it being a 3AC coach helped us not worry much about the luggage either. 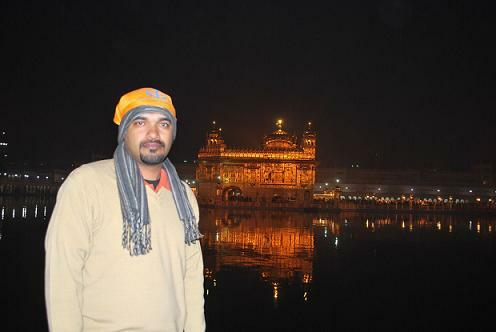 Reached Haridwar: 23rd Dec’09 12:45pm. Weather: Cool when we reached…but dipped close to 2-4 degree by nightfall. We had booked a guest house as our accomodation. 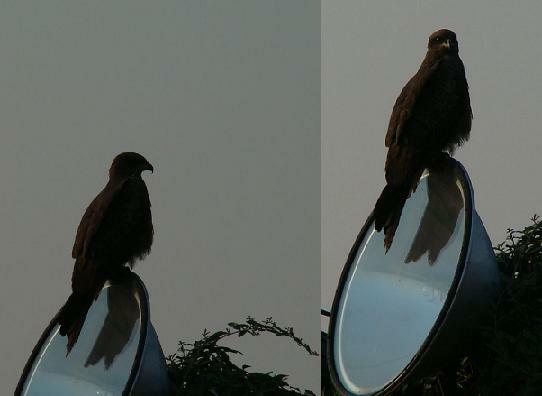 Not a very good one, but decent enough for bachelors – more importantly cost effective. When it came to go around the city, we had two options…a cab or an (Vikram) auto and we being we chose an auto, for the thrill of it. 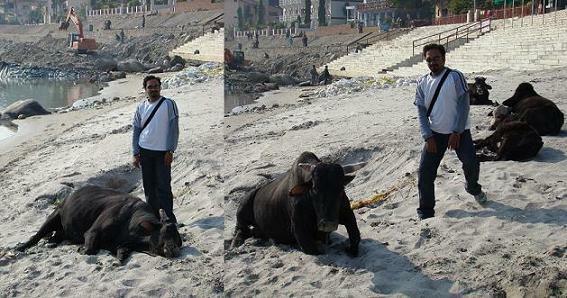 We planned to cover Haridwar that day and Rishikesh which is about 40 kms away, the next day. 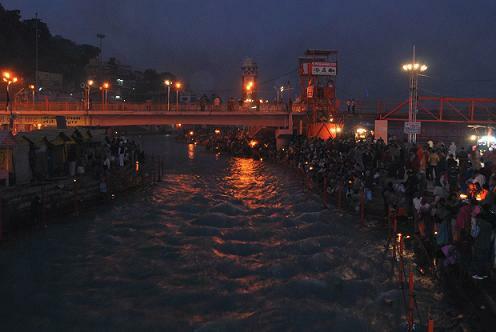 Thousands, if not lakhs of people (crores during this time…currently Kumbh ka mela is being organized at Haridwar) gather each evening to offer their prayers to the Ganges. The next day we went to Rishikesh in the same auto…The unpleasant noise making vehicle ride, was enjoyed to the core…moreover we had a talkative driver too…who went on yapping happily, even with those folks among us who didn’t understand Hindi!! 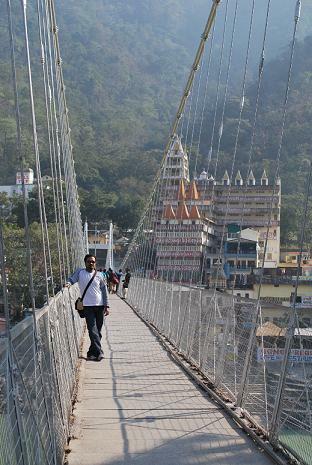 😛 The picture above is of Ram Jhula (Bridge)…we walked across that and returned by boat below the Lakshman Jhula. 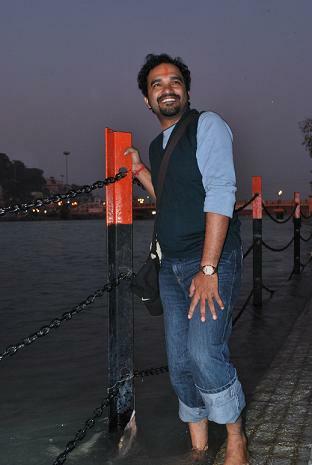 Your’s truly on the Ram Jhula when it wasn’t crowded. 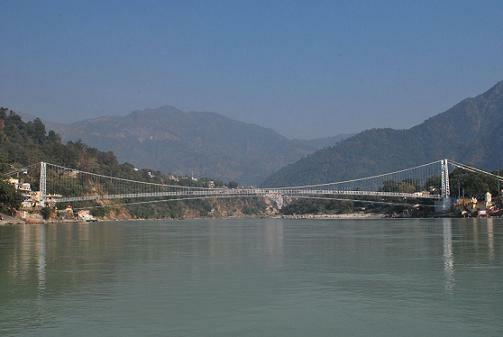 😛 You can see the multi-floored temples on the right side behind the Jhula. 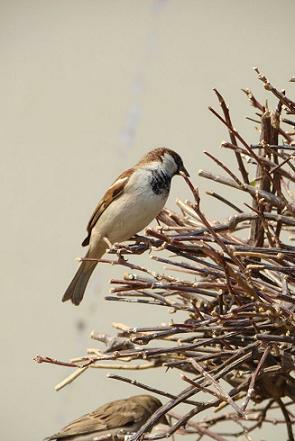 This Sparrow was shot at the Jaipur City palace. 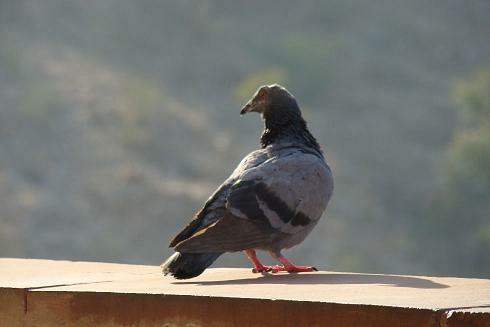 The Birdy seemed to be searching for its “dove” while standing on the walls of the Amber fort, in Jaipur. 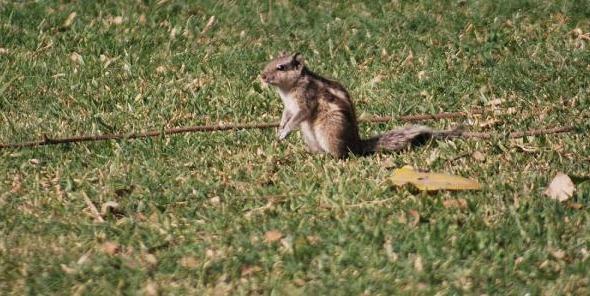 The squirrel seems to be searching for me as it gets clicked in the gardens of Humayum’s Tomb in New Delhi. 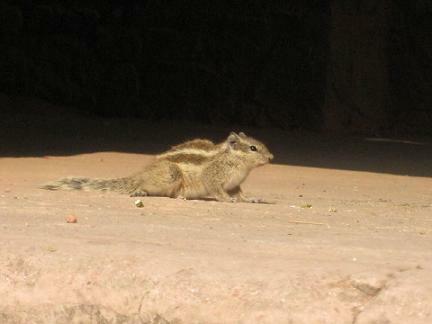 This one was clicked in Humayum’s Barber’s tomb vicinity. Before leaving Haridwar, we did some shopping…among that I picked up a woolen blanket for my sister but it came of good use for us, during our next train journey to the coldest destination of our trip….AMRITSAR. 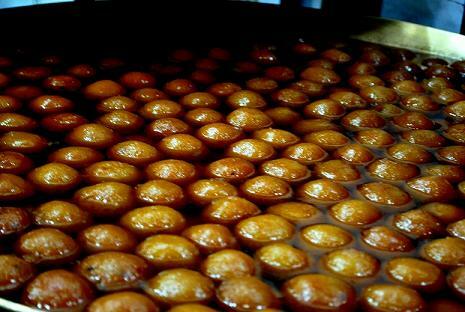 Thanks a lot for the large number of hits to the first post of this travelogue. 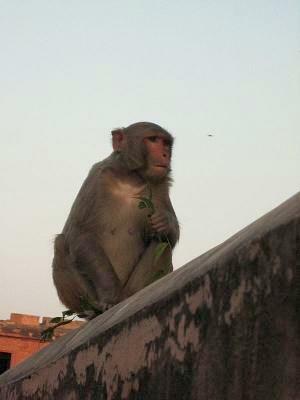 In case you missed Agra, you can catch it HERE. 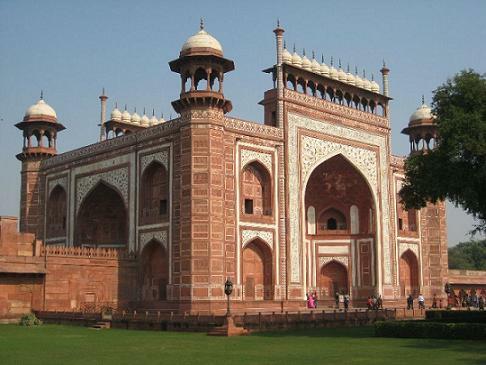 Agra was successfully covered…but did miss on Fatehpur Sikri due to shortage of time. The train to Jaipur was scheduled at 7:45pm but we got to know that there was a delay only on reaching the railway station. Since we had not got 3AC tickets for this journey of 4 hours, we went ahead with booking the sleeper class. The 4 hours which we thought would pass by in no time turned out to be the most suffered and longest hours of the whole trip with the cold air taking toll of us. Left Agra: 29th Dec’09 Evening 7:45 pm: Late by 2 hours, left around 9:45 pm. Reached Jaipur: 21st Dec’09 early Morning 12:45 am: Late by 45 mins. Weather: Cold….approximately in the 4-8 degree range. We had booked accomodation at a guest house by name Janpath. 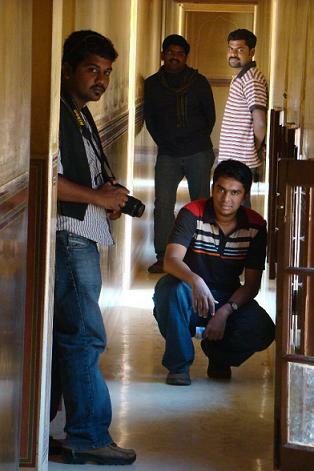 I must say, this was THE best accomodation during the whole tour. 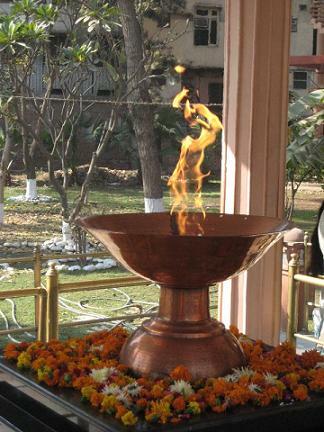 The hospitality and warmth provided by the owner Mr. Kapil Dev Tyagi cannot be described in words. And it turned out to be very much inexpensive. Our bill was Rs. 3100/- for 2 days of stay, food and pick-up from the station. Moreover, he arranged cabs for us to roam around the city at affordable prices (1000 bucks for 8 hrs – Innova on Day1 and Tavera on Day2). 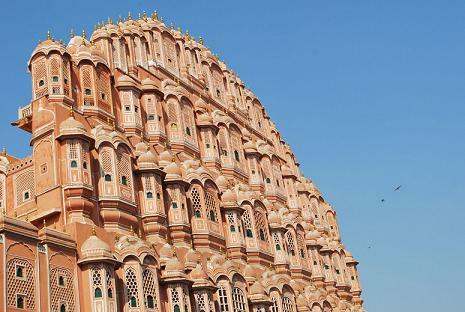 If you are going to the PINK CITY and want an affordable place to stay, CHECK THIS OUT. 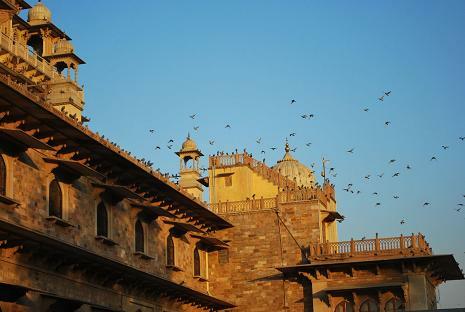 The city palace is a beautiful structure…the present head of state (non-ruling) Brig. 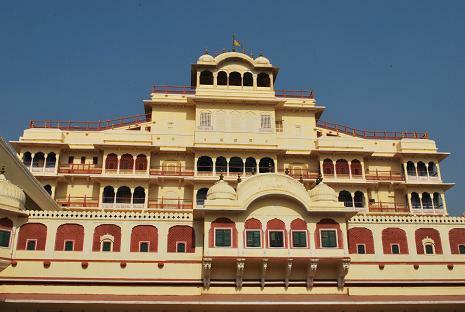 Bhawani Singhji still resides in one part of the palace. We can see how he stays too but its charged too high. 2500 bucks per head. 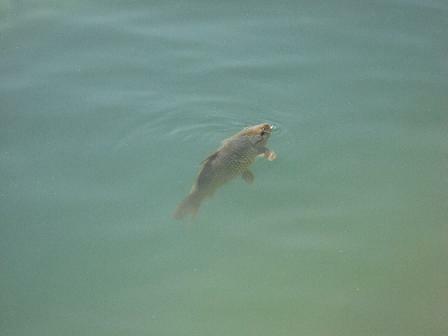 PS: We did get to see him for free though, as he made his way into the City palace. 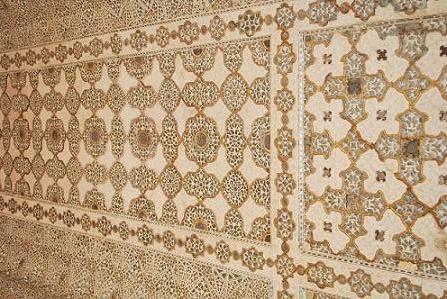 Sheesh Mahal (Glass palace) is within the Najargarh fort and is a lovely structure fully covered with designs made up of plain and colored glasses as well as mirrors…!! 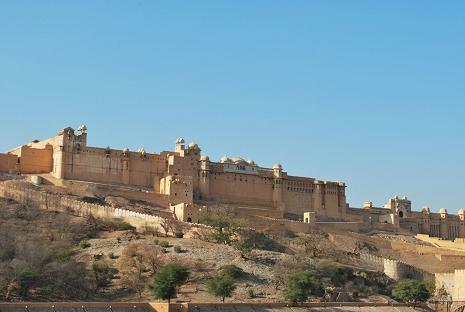 The Jaigarh fort which is about 5 kms from the Najargarh fort is a small fort famous for two things. 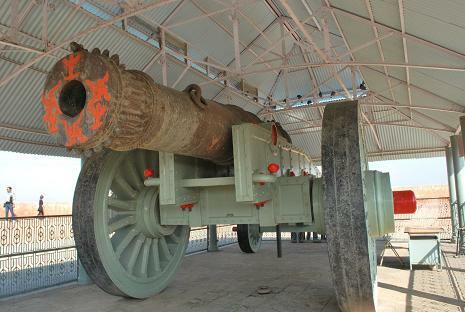 One, it houses the largest ever man-made Canon which is as in the pic above and two, for the largest water filteration system. 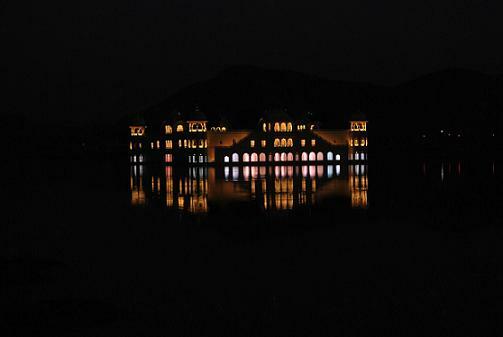 In the evening we went to check out the Jal Mahal…from a distance as no tourist is allowed inside it. 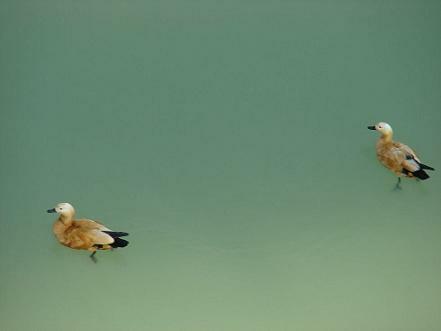 Jal Mahal is supposed to be the “entertainment” place for the rulers of historical times. 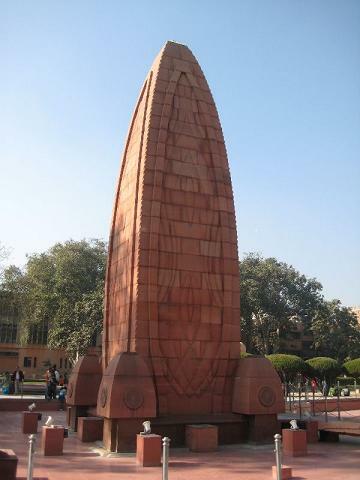 For those interested in science, Jantar Mantar is one place to visit for they house the astronomical wonders of that time. 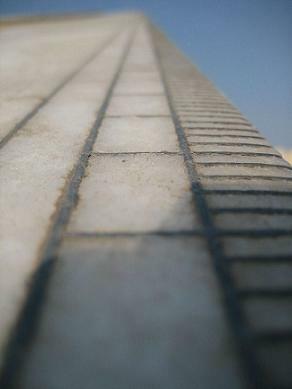 Seen in the pic is the “scaling” of the structure which tells the time based on shadow of the sun…it was dead accurate. Various swords and rifles of those times are on display…best part was that there was no ban on photography inside the museum which even had a “mummy”. 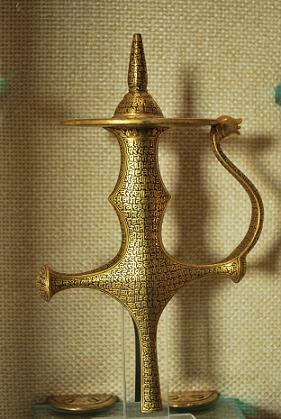 Above seen is the handle of a sword, in gold!! It was all decided at the spur of a moment. A thought that felt so very much executable. Till early October, there was not even a thought of availing vacation leaves, let alone going on a trip/tour. And then one fine hot friday afternoon, when I walked back to my cubicle from my umpteenth coffee break, three excited colleagues called me to their cubicle. They just said “We are thinking of planning a North India tour” and suddenly I became the fourth excited one. The fifth one, working at Infy wasn’t even aware as yet. Moreover, we were all excited about how cold each place would be. Within the next 2 hours we had built a skeleton plan regarding our final destination, the dates of travel and our total budget. 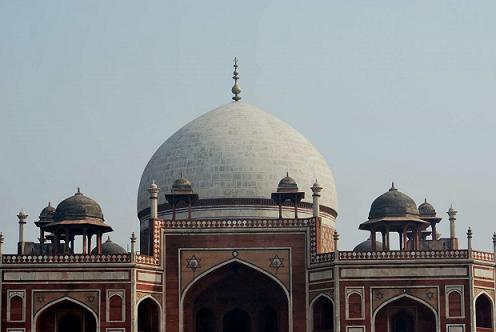 We decided to cover New Delhi and around from the 19th to the 29th December which meant that we would need to apply for 6 days of vacation. By EoD, we had made up our mind. 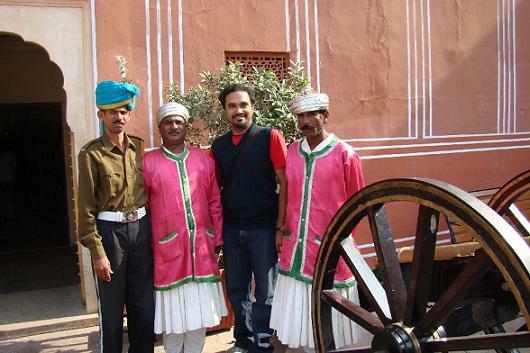 Firstly we booked the ticket for 5 of us – Chennai to Agra and return ticket from Delhi to Chennai. And then in the next 2-3 days we decided on the other places based on 2 things: One, the journey from one place to another had to be completed during the nights and two, based on the availability of 3AC train tickets. Our final booked itenary which was ready by the third weekend of October looked like this: Chennai to Agra to Jaipur to Haridwar-Rishikesh to Amritsar to New Delhi and back to Chennai. Left Chennai: 19th Dec’09 Morning 6:00 am: On time. Train: Garib Rath – an economical Rajdhani…though we have to pay for food and pillow/blanket (25 bucks). Reached Agra: 20th Dec’09 Morning 9:30 am: Late by 90 mins. 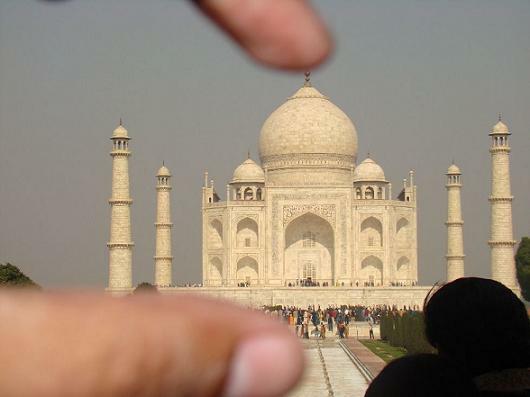 Dumping our luggage in a hotel room, we got ready real quick to head towards one of World’s 7 Wonders – The Taj Mahal. 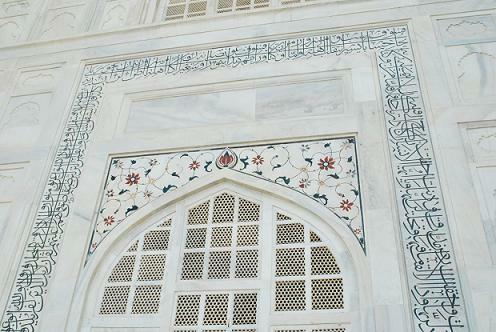 This above pic is the west side entrance to Mumtaz’s final resting place. Majestic and marvellous. Tried a lot of trick pics…this was one of them which came out decent, I hope. 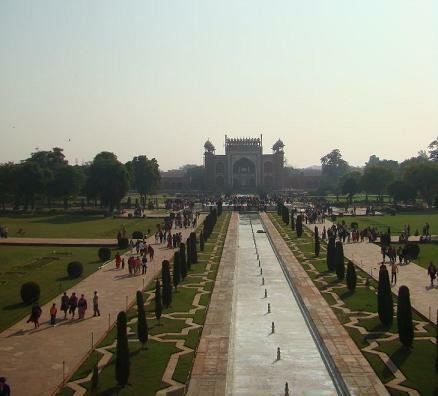 Walking through the gardens, we headed to the Taj. It looks so very beautiful from the close up, with creativity and art going hand in hand on every minute piece of the monument. 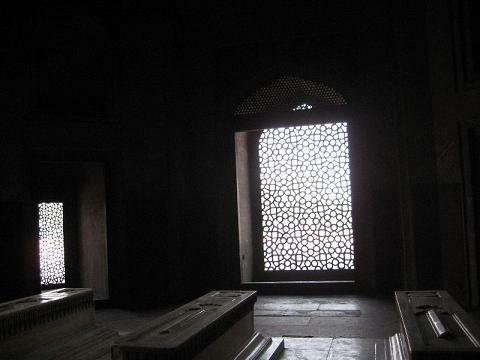 The above pic is the entrance of the memorial…photography inside wasn’t allowed. 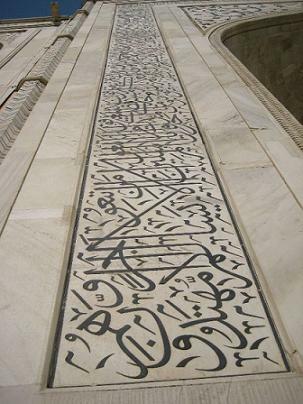 Verses in Arabic are encrypted all over the monument. Some say those are verses from the holy Quran, but am not very sure about that fact. 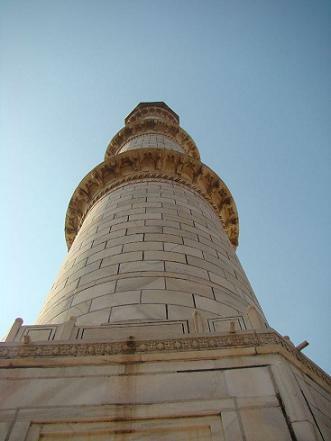 Each of the pillar of the Taj is symmetric as well as identical to the core. Architecturally a marvel. 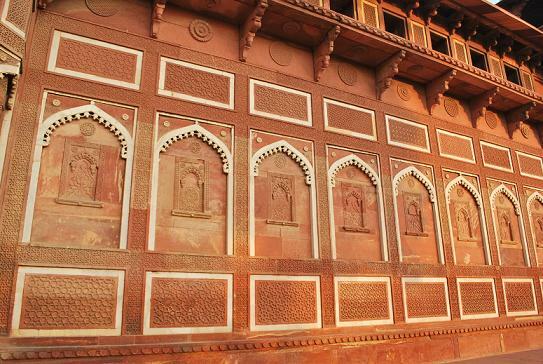 Post lunch, we headed towards the Agra Fort…Its so huge that we couldn’t cover it neatly from 3-4 angles that we tried to. 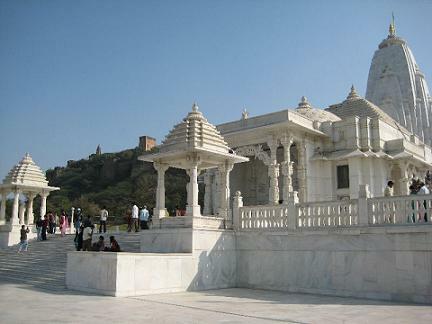 The above pic is of its external architecture. 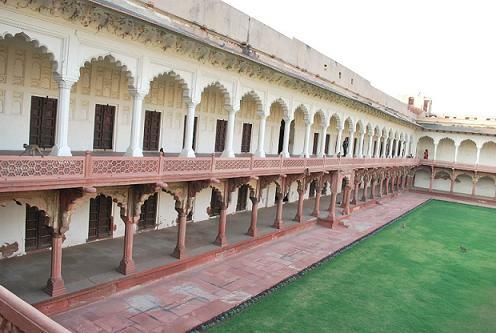 The insides of the Agra fort….huge corridors and a well maintained large garden. 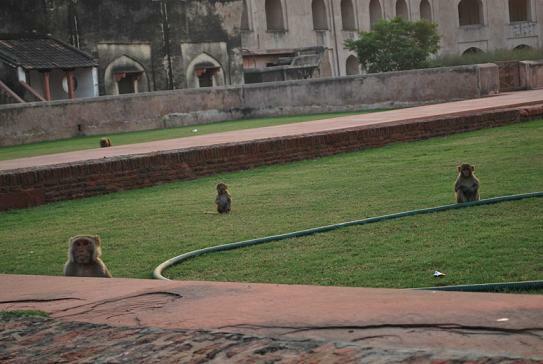 Monkey troubles…6-7 monkeys chased me for a minute or so when I tried to imitate/irritate them. So don’t do, what I did!! 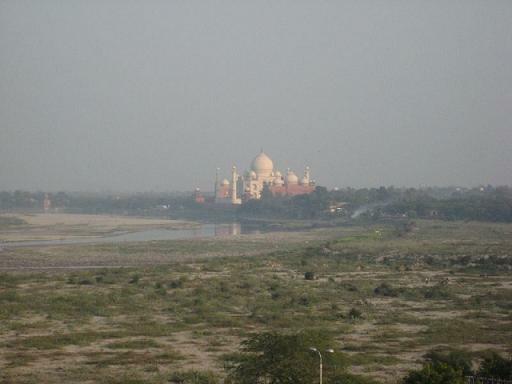 Thats was the end of Agra…we had to catch a train in the evening to Jaipur.